Copyright © Boston Architectural College. All Rights Reserved. For a limited time, BAC Students can purchase Designed in Boston for only $50 (normally $125)! 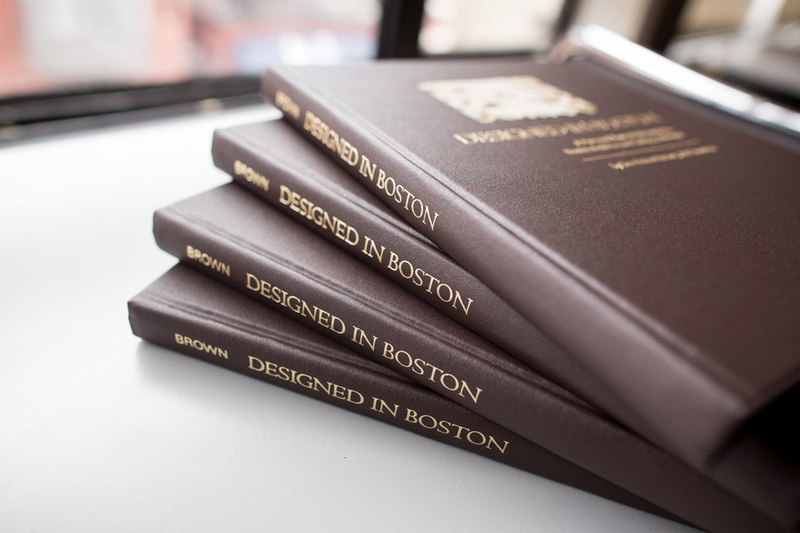 Get your copy of Designed in Boston: A Personal Journal-History of the Boston Architectural College, 1889-2011 by Don Brown, AIA Emeritus. Written as a year-by-year journal, this extensive history of the BAC includes contributions from many involved individuals, offering a clear perspective on the people, the culture, and the evolution of the BAC from professional-development club in 1889 to the concurrent-education College of today. The book introduces such giants of BAC history as Clarence H. Blackall, Isidor Richmond, and Dean Arcangelo Cascieri and emphasizes the BAC’s strong representation among Rotch Travelling Fellows and the BAC’s historic relationships with MIT, Harvard, and the Boston Society of Architects. This limited run hardcopy book is 268 pages and includes photographs from the BAC’s archives. Net proceeds from sales of the book will benefit the BAC Fund. To purchase your copy, please visit Shannon Buckley, Development Coordinator, in the Office of Institutional Advancement on the 3rd floor of 322 Newbury Street between the hours of 10 am and 6 pm, or call 617-585-0202. We accept cash, check, and all major credit cards. Books can be picked up at the BAC, or shipping can be arranged.